The ACF Washington was honored to welcome back Gregorij H. von Leitis and Michael Lahr from the NY based non-profit organization Elysium - Between Two Continents, presenting the program „Nevertheless Say ‘Yes’ to Life“, a literary collage from the groundbreaking works of Viktor Frankl. In the 1920s, Viktor Frankl (1905–1997) founded the "Third Viennese School of Psychotherapy", the so-called logotherapy or existential analysis. In his approach to therapy he focused on meaning and value. 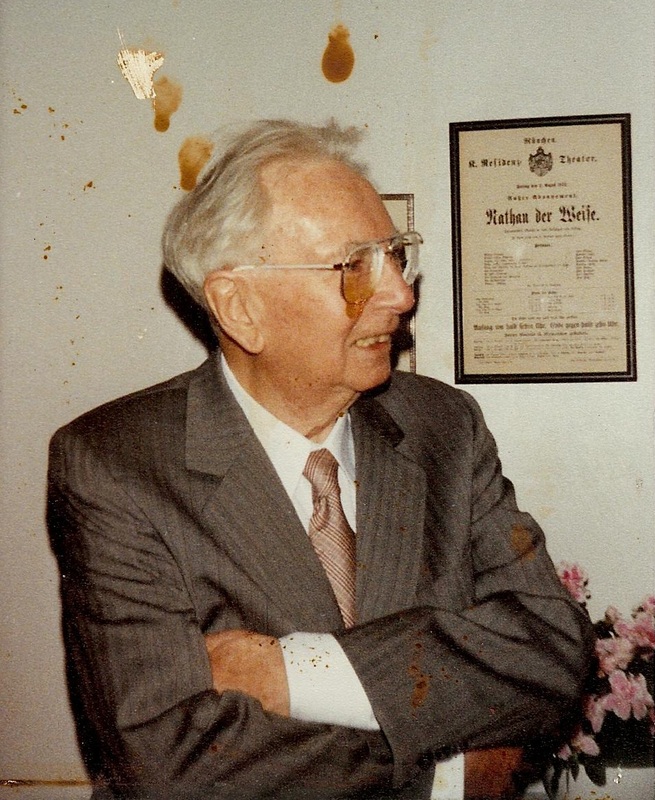 Having survived the Holocaust as the only one of his immediate family, Frankl reflected upon his experiences in the concentration camps in his famous book "Man's search for Meaning" which has become one of the ten most influential books in the US. Lesser known is his play "Synchronization in Birkenwald: A Metaphysical Conference ", which he wrote in 1946. Soon after the Holocaust, Frankl advocated for reconciliation as the only way out of the destructive catastrophe of war: those aspects of Frankl's work are more important than ever in today's broken world. Viktor Frankl was born in Vienna in 1905 into a Jewish family. He studied medicine and later became a neurologist and psychiatrist. In his early formative years he was in close contact with Sigmund Freud and Alfred Adler, but later diverged from Freud's psychoanalysis and Adler's individual psychology. A year before Hitler's invasion of Austria, Frankl opened his own private practice. But right after the "Anschluss" he was immediately prohibited from treating "Aryan" patients. In 1940, Frankl became the Head of Neurology at the Rothschild hospital, Vienna's last remaining hospital, where Jewish patients could go to. On September 25, 1942, he, his wife and his parents were deported to Theresienstadt. Frankl's father died there in 1943, his mother was murdered in Auschwitz, and his wife in Bergen-Belsen. 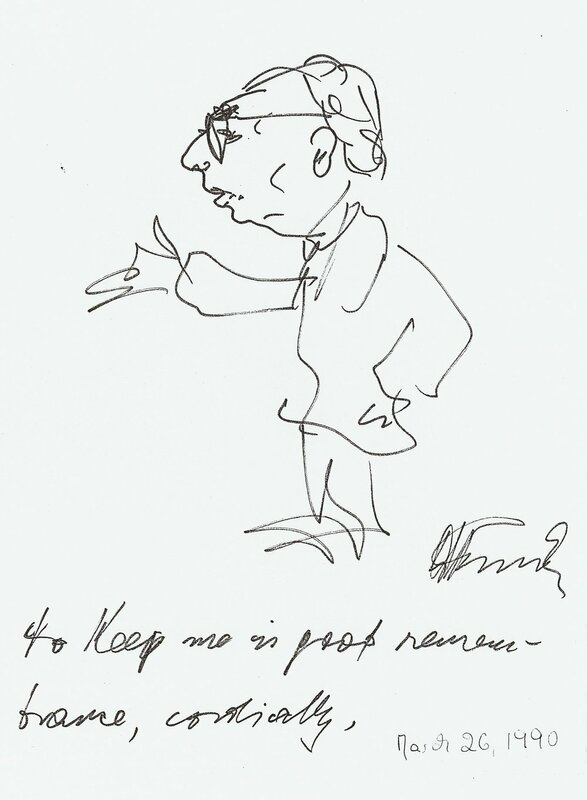 With one of the last transports to the East – on October 19, 1944 – Frankl was deported to Auschwitz. On April 27, 1945 he was liberated by the US-army in Türkheim. 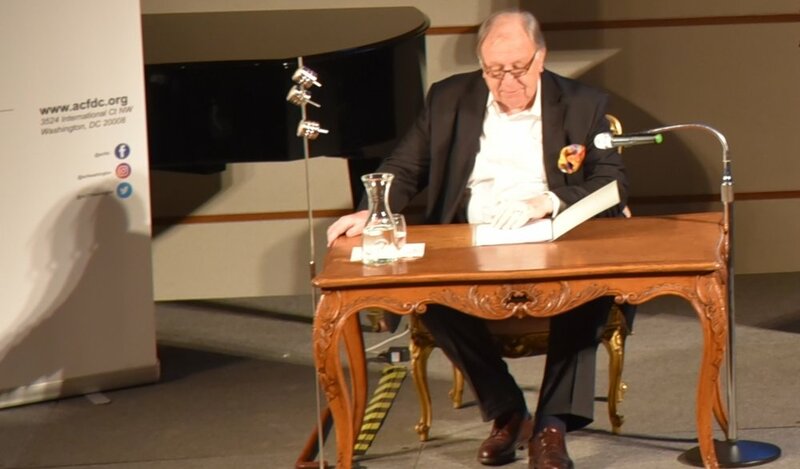 After having endured three years of suffering in the concentration camps he returned to Vienna and gave lectures about his own approach to psychological healing, that even in the most painful and dehumanizing situation, life has potential meaning. Frankl published more than 39 books which have been translated into 40 languages. He lectured all over the world, and several times was invited as a visiting professor to leading American universities. Viktor Frankl died in 1997. Gregorij H. von Leïtis, Founding Artistic Director of Elysium, will read from the works of Viktor Frankl. For 50 years he has been working as a director at various theatres in Europe and the US. In 1985 he received the New York Theater Club Prize for his direction of Bertolt Brecht's “The Jewish Wife”. In 2003, he was awarded the Knight’s Cross of the Order of Merit of the Federal Republic of Germany and in 2016 he received the Austrian Cross of Honor for Science and Art. In 1983, he founded the Elysium Theater Company in New York, which he headed as Artistic Director till 1990, when he was called to be the Intendant (Artistic Director) of the Landestheater Mecklenburg in Germany. Since 1993 he has been again Artistic Director of “Elysium - between two continents”. In 1985, Gregorij von Leïtis founded the Erwin Piscator Award Society, which annually confers the Erwin Piscator Award. Since 1987, he has been committed to the integration of marginal social groups by way of theater. With the Elysium Theater Company he created the program “Theater for the Homeless”. Since 1992 Gregorij von Leïtis had been active as guest director, first at the State Theater in Linz, later also at the State Theater in Bregenz. In 1998 he produced Kafka's “A Report to an Academy” at London's Bloomsbury Theater, Ullman's opera “The Emperor of Atlantis” at the Guggenheim Museum and at the Miller Theater in New York, as well as the Italian premiere of Krenek's chamber opera “What Price Confidence”. In 1997, he recited the New York premiere of “The Lay of Love and Death of the Cornet Christoph Rilke”, one of the last works which the composer Viktor Ullmann was able to finish in the ghetto and concentration camp Theresienstadt, before he was deported to Auschwitz in October 1944 and murdered there. Since then, he has performed this composition for speaker and piano internationally in more than 30 cities. With Michael Lahr, he founded The Lahr von Leïtis Academy & Archive in 1995, whose president he is. Michael Lahr studied philosophy and adult education at the College of Philosophy in Munich and at the Jesuit University Centre Sevres in Paris. He is author and editor of the book “The Erwin Piscator Award”, and a co-author of the volume of essays “Bilder des Menschen” (Images of Man). As a specialist in Erwin Piscator, the founder of the political and epic theater, he curated the exhibit “Erwin Piscator: Political Theater in Exile”, which so far has been seen in Bernried, New York, Catania, Salzburg, and Munich. As the program director of Elysium he has unearthed numerous works by artists who had to flee their home country under the pressure of the Nazi regime, or who were murdered. Many of these compositions were performed for the first time in concerts in Europe and the U.S. He gives introductory lectures for all Elysium programs. At the same time, he lectures regularly on questions of general social and political significance at various universities in Europe and the US. 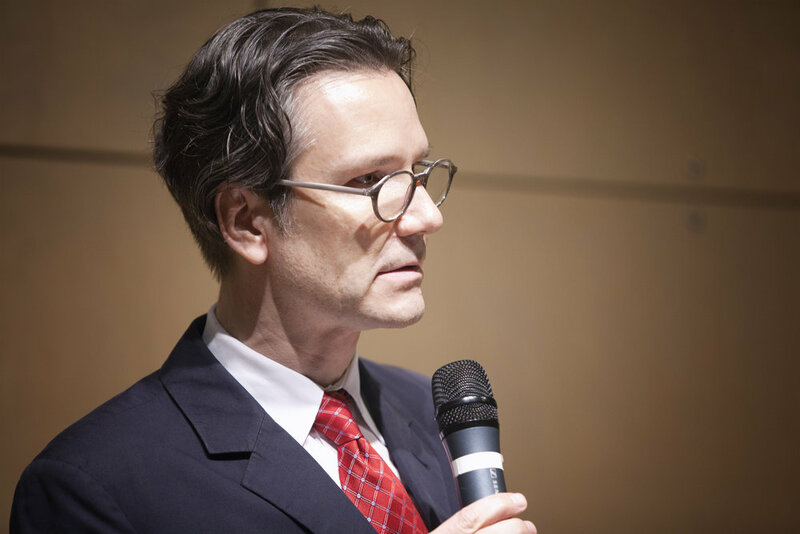 Michael Lahr is the Executive Director of The Lahr von Leitis Academy & Archive, founded in 1995, which holds materials of artists such as Erwin and Maria Ley Piscator, Egon Lustgarten, Anna Moffo, Alice Herz-Sommer and others. He is also the Chairman of the Erwin Piscator Award Society and the editor of The Bridge Journal. Since the founding in New York City in 1983, Elysium - Between Two Continents has established itself as a vital force at the intersection of American and European cultures, fostering artistic and creative dialogue and mutual friendship between the United States of America and Europe. Fighting against discrimination, racism and Antisemitism by means of art are at the heart of Elysium’s mission. Elysium’s special concern has been to unearth and present works of artists exiled and persecuted by the fascist regimes of the mid twentieth century.